With over 20 years accounting and payroll experience, we provide solutions that are cost effective. BrightPay is HMRC recognised and has full RTI functionality included as standard. Comprehensive, easy to use and intuitive payroll software. Automation of auto enrolment duties. View a full list of AE features here. See our payroll features page for a full list of functions. 97% of customers rate BrightPay as excellent, very good or good for quality. 99% of customers think that BrightPay offers exceptional value or good value. Free payslip functionality. Customers can print, export to PDF email payslips directly to employees email address. Payslips are password protected. BrightPay has a 60 day free trial. Free Automatic Enrolment functionality. Click here for a full list of AE features. Free phone and email support with standard and bureau licence users and free email support for free licence users. Free software updates in line with legislation. Free holiday calendar feature making it easier to calculate holiday pay. 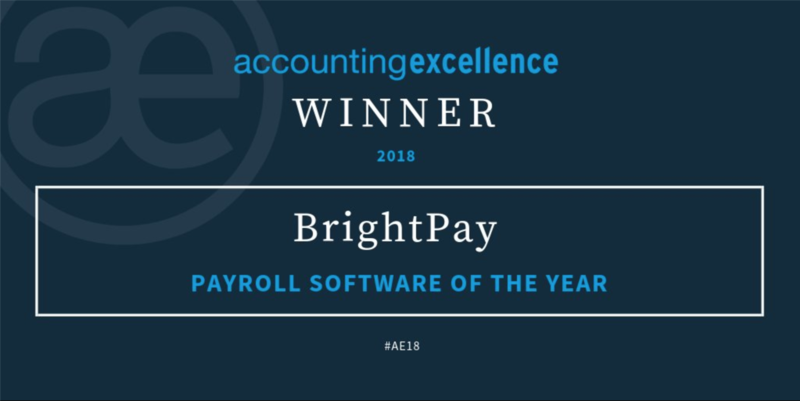 BrightPay has recently been announced as winner of 'Payroll Software of the Year' 2018 at the Accounting Excellence awards. Find out more. In 2017, BrightPay were highly commended for 'Payroll Software Product of the Year' by CIPP at the Annual Excellence Awards. Find out more.